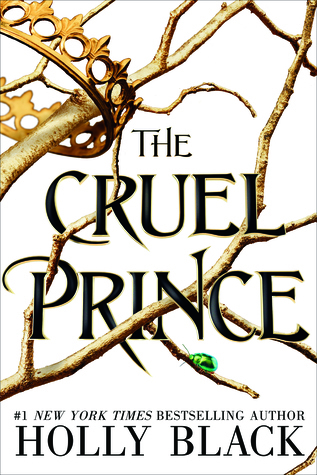 Jude was seven years old when her parents were murdered and she and her two sisters were stolen away to live in the treacherous High Court of Faerie. Ten years later, Jude wants nothing more than to belong there, despite her mortality. But many of the fey despise humans. Especially Prince Cardan, the youngest and wickedest son of the High King. To win a place at the Court, she must defy him–and face the consequences. In doing so, she becomes embroiled in palace intrigues and deceptions, discovering her own capacity for bloodshed. But as civil war threatens to drown the Courts of Faerie in violence, Jude will need to risk her life in a dangerous alliance to save her sisters, and Faerie itself. Let me just preface this review by saying that I have yet to really find that one faerie book that has caught my attention. But let just say that the wait is now over. Holly Black has captured my heart. This was a book that I could not put down and the only regret I have now is that I have to wait an entire year for the next book. Holly Black has won prologue writer of the year. I do not know if there are enough words to describe how amazing that prologue was and from that moment on, I knew this was going to be an amazing read. Following that introduction, seventeen years later we see for the most Jude as she struggles to find acceptance in the Fey Court as she works diligently to one day join the court, despite her mortality. However, the court she one day hopes to join is filled with a hidden darkness of conspiracies that could put her and her sisters lives in danger but the lives of the Fey. I do have to say that I did see the twist come expectedly but nonetheless I still enjoyed it. I think I was more enthralled by the fact that I have actually found a book loving that has faeries in it. There was so much adventure, action, a queer love interest, I swear this book is on my top lists of books coming out in 2018. I do have to say that the ending did have a little Game of Thrones feel to it. But that is just my take on it. Correct me if I am wrong but once you get to a certain part you will understand. Hopefully. As this is my first Holly Black book (hides in shame), I am intrigued to go out and see her other books. Are there some favorite books you enjoy of Holly Black? Yes! Which ones? 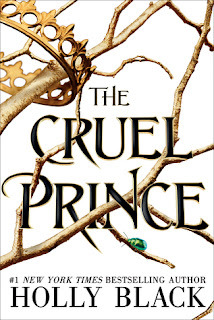 Full of pure magic and brilliance, The Cruel Prince has capture my heart and I am excited to see where the story goes.